Please note that this workshop will be held at a private studio. 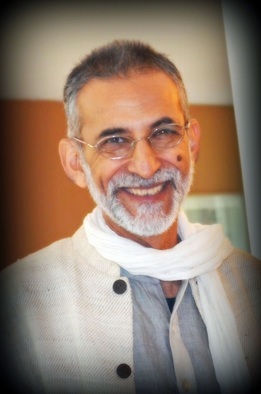 10AM-Noon: Foundational aspects of Ayurveda and Yoga and where they intersect in therapy. Connecting sattva (clarity) rajas (restlessness) and tamas (inertia) to our individual natures of vāta, pitta and kapha: personalizing our emotional healing. 1-4PM: Understanding the tools of yoga in emotional therapy. We will examine the roles of kriya, vinyāsā, āsana, prānāyāma, mudra, bandhā, japā, dhāranā and dhyāna. That is cleansing breathing, sequencing to place in intelligent postures, awareness breathing, external and internal symbolization, internal locks, chanting, becoming aware through breath and body and finally sitting in awareness. 4:30-6PM: Svatantra Nyāya: Finding that the logic inherent within wisdom and compassion equates with love and intelligence. This is the deeper healing, where we end up when we have learned the logic of the body as correct action, breath as correct speech and mind as superior contemplation. 10AM-1PM: Practical Session that will utilize all the yogic tools we speak about on Saturday so we can actualize the experience of emotional stability. A short talk will close out any additional needed explanations at the end. All levels of healthy practitioners are welcome. If you have special injuries or needs you may also observe the practice. It can be just as powerful. Arun will be available for limited private consultations. Contact Mary Bruce for information. Emotional Intelligence was the 4th workshop I have taken with Arun. He is an amazing yogi, a gold mine of information, and has the ability to share ancient knowledge in a way that is accessible and fun. If you want to dive deeper into the more subtle aspects of Yogic Sciences I highly recommend this workshop.